This is a story about my first wife’s father Niven Busch, the GRANDfather to my son Jonah. For he was truly grand in every way and like my own father, left his mark imbedded and scattered throughout his seven children and five wives. He was born of wealthy patrician parents and lived in Centre Island, Long Island, New York. He went to Princeton, worked with his cousin Briton Hadden, the co-founder of Time Life with Henry Luce, at The New Yorker, and ultimately (an this is another story) abandoned the East and all its history to become a screenwriter and novelist in California. He became quite a legend writing films like Duel in the Sun, and The Postman Never Rings Twice as well as writing many novels set in California such as California Street, The San Franciscans etc. He was tall and very handsome “looking like a cross between Errol Flynn (a good friend and fellow polo player) and John Huston, and women by the droves were attracted to this handsome, adventurous, smart, cunning man. His life was an enormous adventure, which I became a part of my last two years of high school and remained so for many years. He often confided in me, and even wrote one book with a little help from my father whom he liked. These two giant egos seemed to mesh perfectly as they had different lives in different places. They related and understood each other from afar. Niven was tall and very Western and my father was small Jewish and very Eastern yet these two men were both a force to be reckoned with and despite their deaths their legacy has lived on strongly. Karl Malden once told me his agent told him never to go into a room alone with Niven as he would come out the loser. 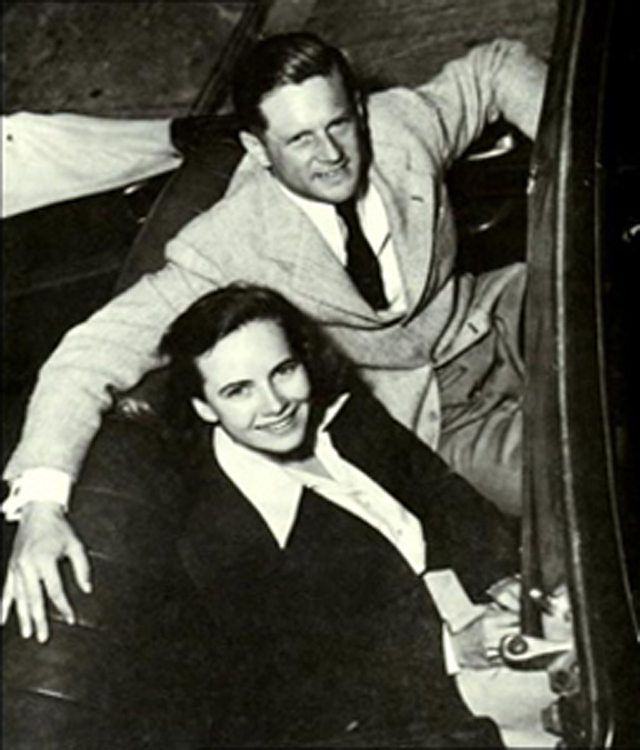 Niven married the actress Teresa Wright, my first wife’s mother and his third wife in 1942 and they were divorced in 1952, when Mary-Kelly and her mother moved to New York City, and Niven and Terrence, Mary-Kelly’s brother, stayed in California moving north to Hollister where Niven bought an Apricot and Walnut Ranch and settled in to write novels. After the less than amicable divorce Niven and Teresa barely spoke to each other except to exchange information on the children. He quickly remarried for his forth time to Carmenceta (Cheetah) and had three other children. Cheetah was one of the most special people, and as time went on became one of my closest friends. I was always Rodney Lewis to her and I will get back to her at a later date but for now this is a story about Niven and I must plow ahead. As one might expect from these two very beautiful and handsome people, a movie star and a writer, two children were conceived Terrence, who I always thought was going to be the next John Steinbeck, brilliant handsome and my idol as a child. He was four years older than me but yet seemed miles ahead of me and Mary-Kelly my wife whom I met in our high school years. Mary-Kelly was beautiful, fragile, and very delicate and when I met her much of the damage of the divorce, the separation from her father and her brother was already done. I think I only contributed to closing the lid on this very special person. For a number of summers while in high school and my first years of college, I would spend one month at the ranch. Mary-Kelly my girlfriend at the time would spend her whole summers there and I would go in early August to join the Busch clan, and this is where one of my Niven stories begins. For some reason I think Niven, unlike Teresa who resented my fathers wealth, took a real liking to me. He had come from wealth, his father had lost everything in The Depression, but he never was uncomfortable around it. Cheetah a San Francisco socialite and I loved each other. She was hysterically funny and so human. We laughed from morning to night and it was all great fun. On occasion Niven and I would take a walk and he would tell me stories about his life. In the summer of 1966 or 67, when I was enjoying the life of a small ranch in California, one evening on a long walk Niven began to tell me the story I’m about to tell you. It’s a story about California, about loss and gain and maybe what could have been. In any case I’ve run out of room and time so this little story about California life in the mid sixties will have to wait till next time. Mr Rodney you weave a tale that is once more a “cliffhanger”. Your writing so wonderfully picturesque, your images so thought provoking. It’s easier to confront a scene of mayhem and danger. Those images present themselves..Simply press the button.I’ve done that. To bare one’s inner self, braver than me! I think the most important part of your belief and credo, is not to something “good enough”. It has to be perfect, in concept, in preparation and finally presentation. This can be a real great resource that you’re providing and also you have absent for free. I enjoy experiencing sites which see the value of supplying a quality reference for free. Oahu is the old what goes around appears program. Have you obtained a great deal of hyperlinks and i also see a lot of trackbacks? Another amazing post. Love what you do.